Seckry Sevenstars is forced out of his village by the powerful Endrin Company and relocates to Skyfall City. 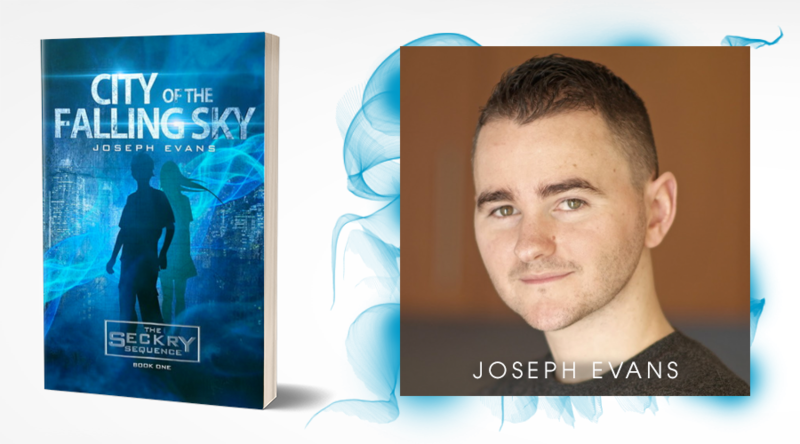 Just as he starts to settle into his new life, a mysterious email lures Seckry within the confines of Endrin, where he discovers and saves a young woman. From there, Seckry tumbles through a mad journey to discover exactly what Endrin is up to, what it has to do with the girl, and what it means for him. As someone older than the target audience, for me there were some gaps. The ending can be too easily guessed, and the problems the main characters faced were solved with unrealistic simplicity. Because it’s a good story, I found myself wanting a little more meat. However, putting on my pre-teen hat, it’s an all round great story. There are set ups and fulfilling payoffs, exciting twists, splashes of romance, and enough intrigue at the end to entice you to pick up the second book in the series. I would recommend this story to my little brother and little sister, and I know they would LOVE it! 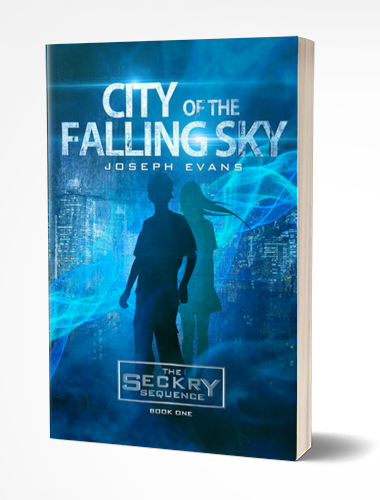 If you are a 21+ adult who loves Harry Potter, or other ‘Young Adult’ books that have enough depth for the whole family, ‘City of the Falling Sky’ will leave you wanting just a little bit more. This is an honest review. I did not receive a copy of this book in exchange for this review. Find ‘City of The Falling Sky’ on Amazon or Goodreads.